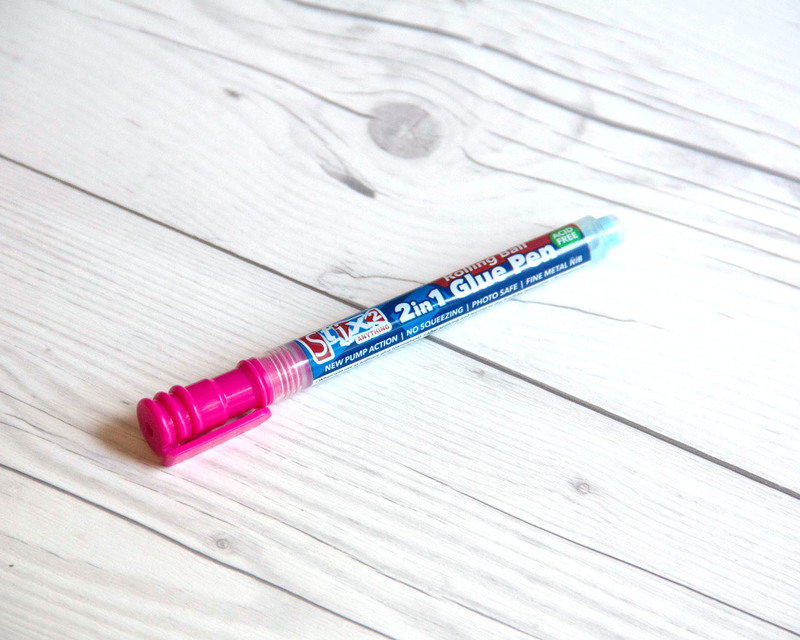 Introducing our new 2 in 1 metal nib glue pen! This pen is a fabulous tool and makes adding foil to any project super easy, the key is the adhesive must be tacky. 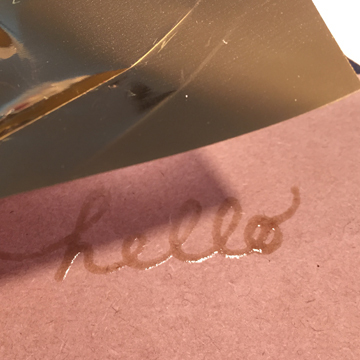 The adhesive on the pen is permanent when used wet. If you draw with the Glue Pen and allow the adhesive to dry it becomes tacky. Once tacky you are ready to foil. 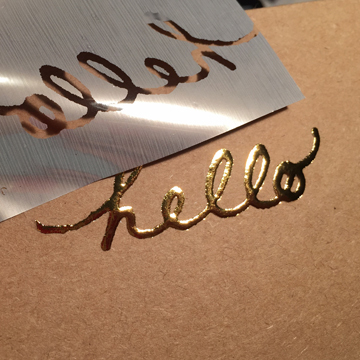 We applied glue to the areas we wanted to foil by drawing directly onto our projects with the 2 in 1 metal nib glue pen. 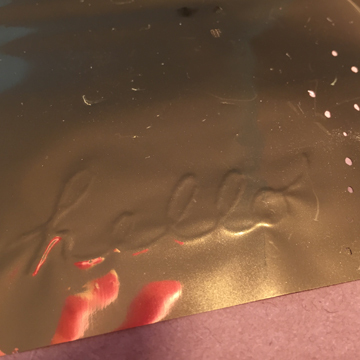 Once the glue was dry, we pressed the dull side of the foil directly to the dry tacky adhesive. The foil stuck beautifully and transferred to the card with fantastic results! 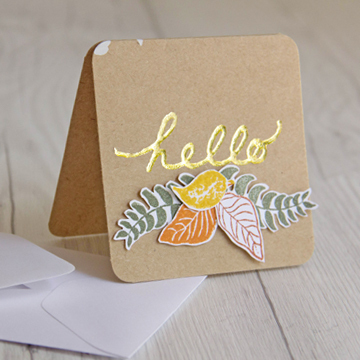 Create the Hello greeting for this card by following the four easy steps outlined below. 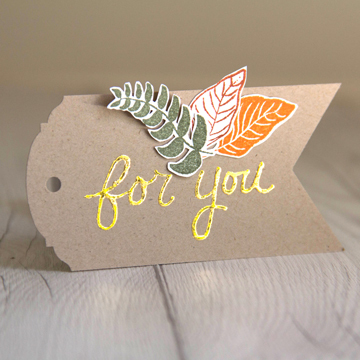 We hand stamped a few leaves in fall colors, cut out and arranged on the bottom of the card. Did you know we now sell White 3×3 envelopes? 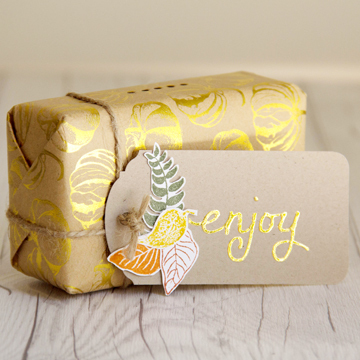 These are the perfect companion for those small gift cards. 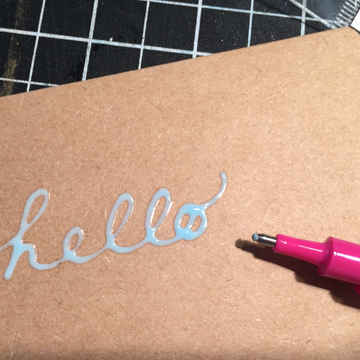 Write out word with Glue pen. 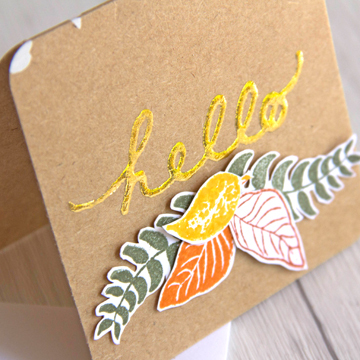 Press foil onto dry adhesive. Carefully peel away foil sheet. 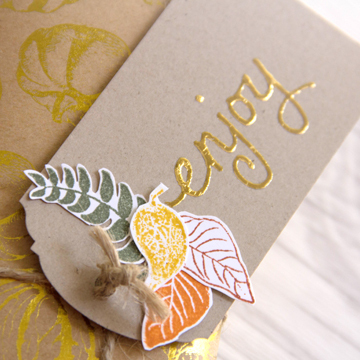 This entry was posted in Crafts & Kits, DIY Projects, Stationery & Envelopes and tagged 3x3 card, 3x3 envelope, Calligraphy, Fall tags, Foil Sheets, Glue Pen, gold foil.